I have always had a love for pickled foods. When I was younger my siblings used to tease me about my rather bizarre love for gherkins and pickled onions. I could eat half a jar at a time and couldn’t get enough of them. The best thing about this salad is that you get that wonderful zingy, sweet tang without having to wait forever for it to pickle. Its delicious with barbecued fish, meat or veggies and is often a tasty addition to my packed lunch box. If you have a sensitive palate go easy on the chilli flakes as they can be strong. In a medium sized bowl combine your dressing ingredients. Whisk to combine. 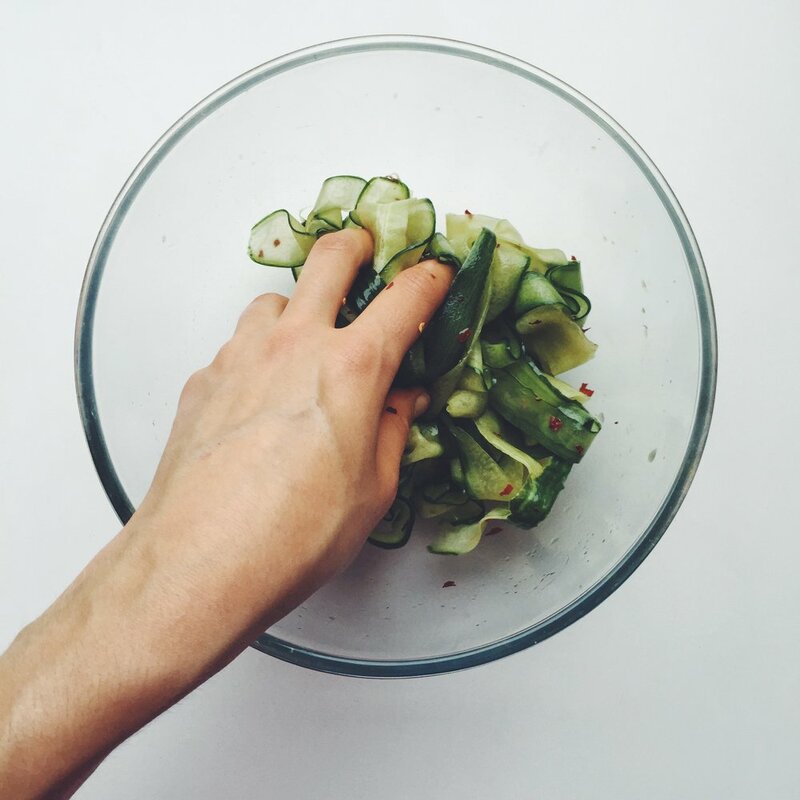 Add your cucumber ribbons as well as your dried chilli to the bowl and toss everything together using your hands. I like to return it to the fridge for half an hour as it tastes even better chilled but you can eat it right away too.